See what Pink CupCakes has been up to, and Where you can find us next! 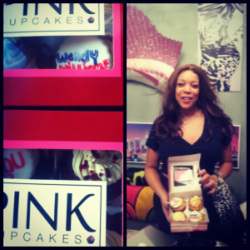 Wendy Williams Got the chance to Have Pink CupCakes and loved them at her studio in NY. They were spacial made for her with her favorite quote "How You Doin?" 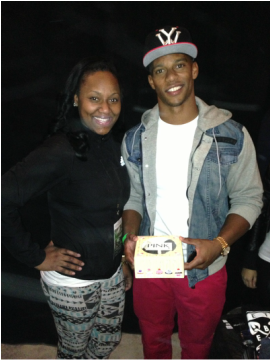 I got the opportunity to meet my Favorite Football Player Victor Cruz and he loved his Pink CupCakes! 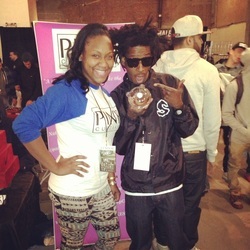 Puma from Black Ink on VH1 had Pink CupCakes and was one of many that day to love his Pink CupCakes! 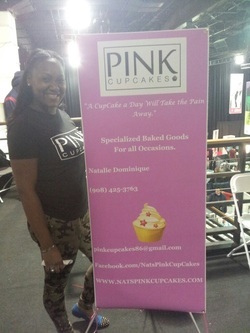 Pink CupCakes got the Chance to be the only cupcake vendor at one of NY biggest vendor shows. 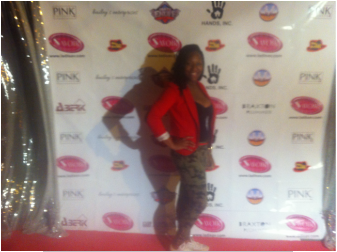 Pink CupCakes will be attending again next year so please look out for us! I got the Pleasure of supplying Ladisav with cupcakes for their Launch party! their website is ladisav.com check the great ladies out! 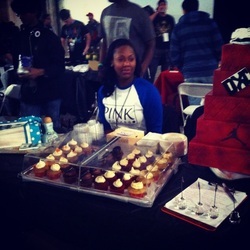 I got the pleasure to be the Cupcake vendor at DunkXchange. An event for sneaker lovers of all ages.